THE FUTURE IS NOW OR AT LEAST IT’S NEAR. IT INCLUDES A GUARANTEED FORECAST DOWN TO THE LAST DETAIL: SIZE, DIRECTION, LENGTH, CONDITIONS, POWER, CONSISTENCY…SNN. Courtney Conlogue (USA) as she races through a barrel at the Surf Ranch Test event last September. 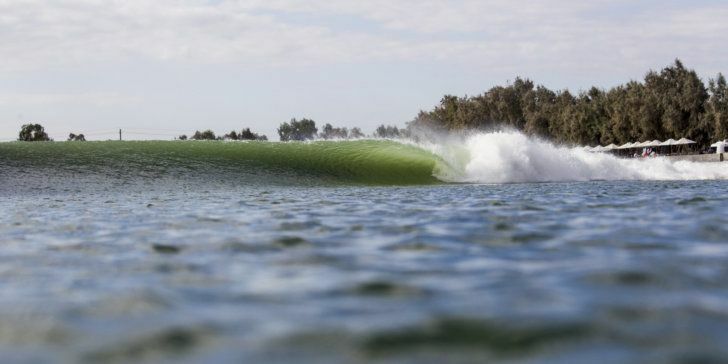 LOS ANGELES, California/USA (Friday, November 17, 2017) – The World Surf League (WSL) is excited to announce that the WSL Surf Ranch Facility in Lemoore, Central California will host the world’s best surfers as part of the 2018 Championship Tour (CT) calendar.